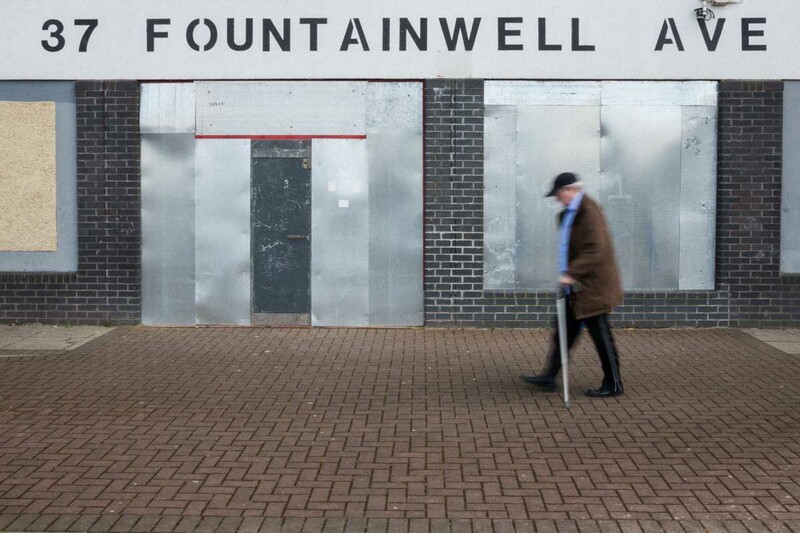 Fountainwell was one of three of the blocks that were being prepared for demolition. 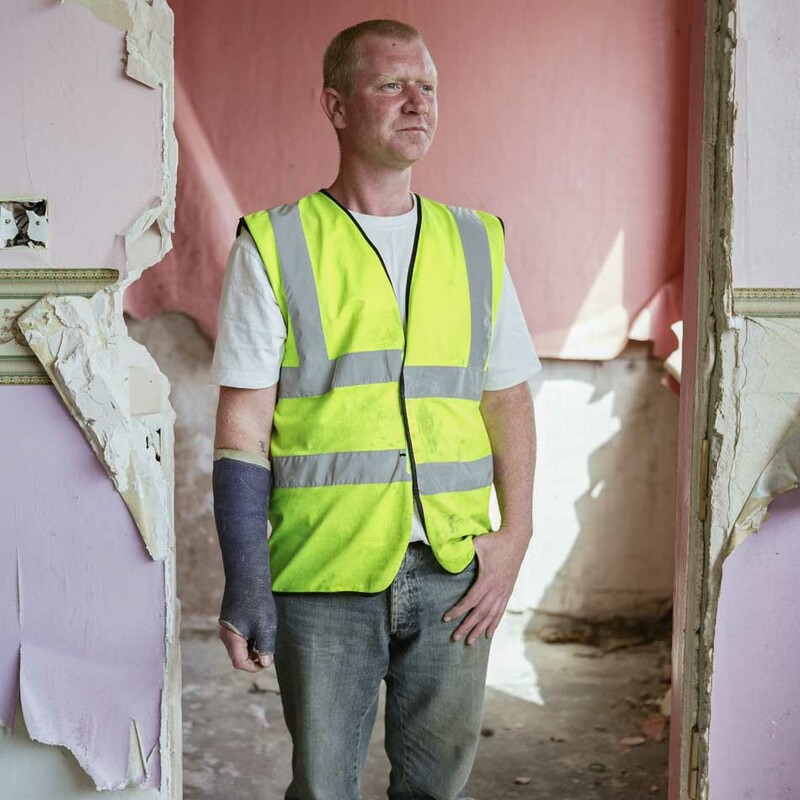 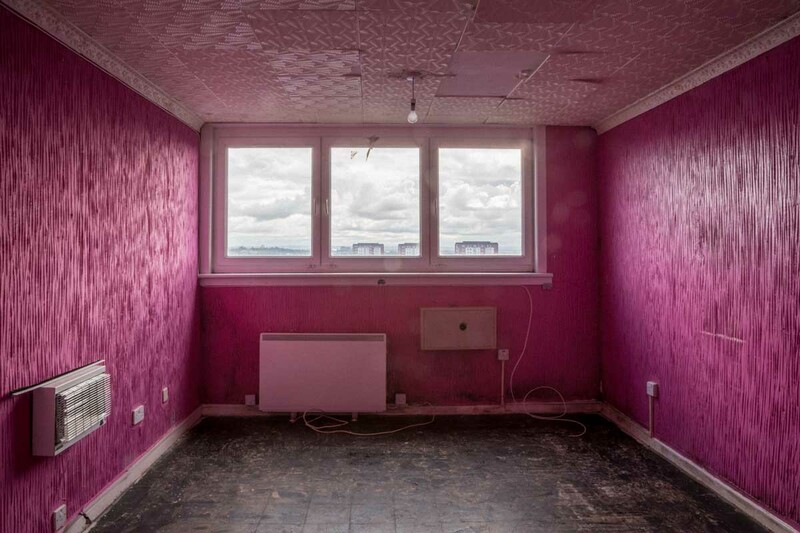 ‘Soft stripped’ they call it – the removal first of all furniture and contents left behind, then the windows, the kitchen sink, the bathtub and all fixtures and fittings. 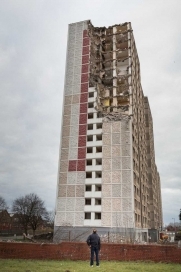 In effect all that remains is concrete and wallpaper, and then the button to blow them up can be pressed. 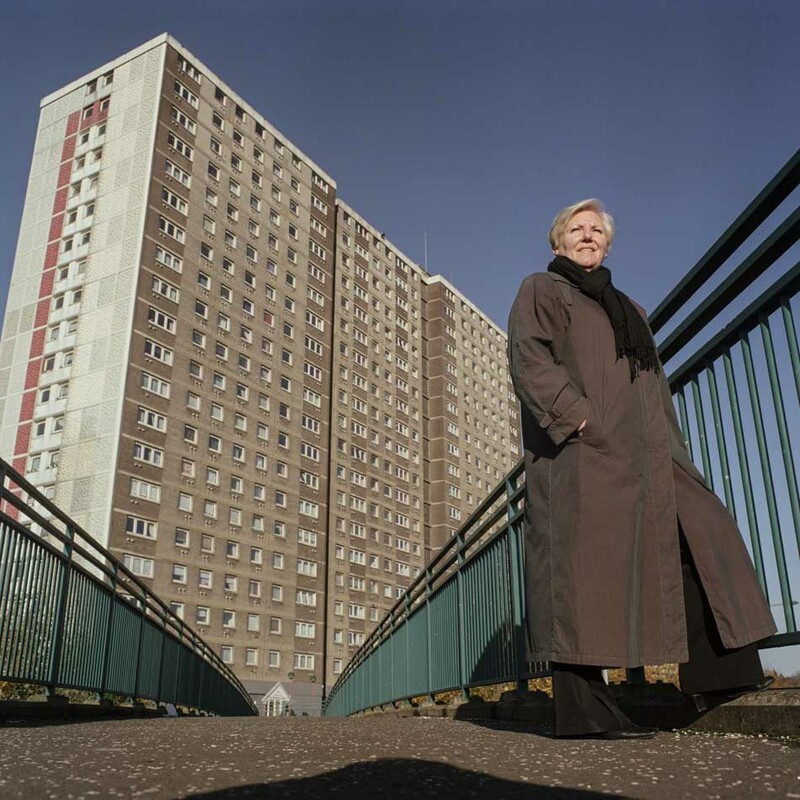 Like most people in the area Andy was glad to see the back of the flats. 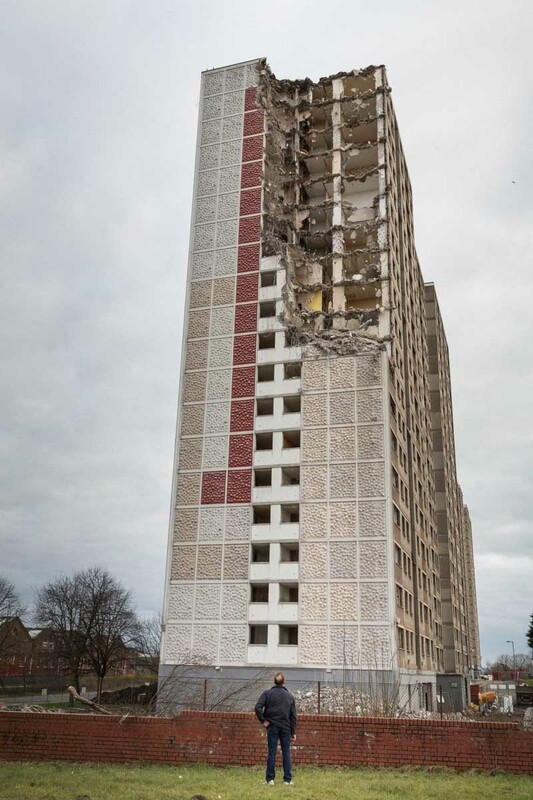 He explained to me that high-rise living was no longer ‘fashionable’ and that they had “served their time and purpose”. 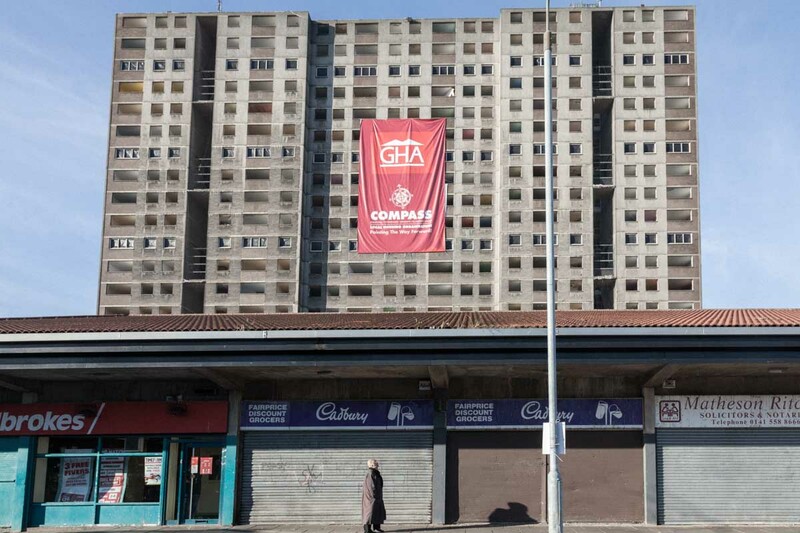 It was the standard rallying cry and explanation you hear across Glasgow when debating high-rise demolition. 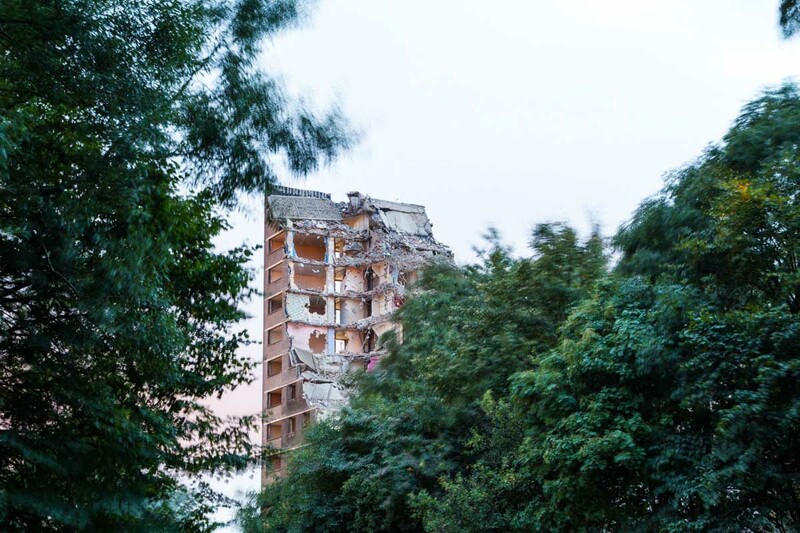 When I began documenting in 2008 demolition was already underway – two blocks had already been demolished and the next three were due for demolition in 2009. 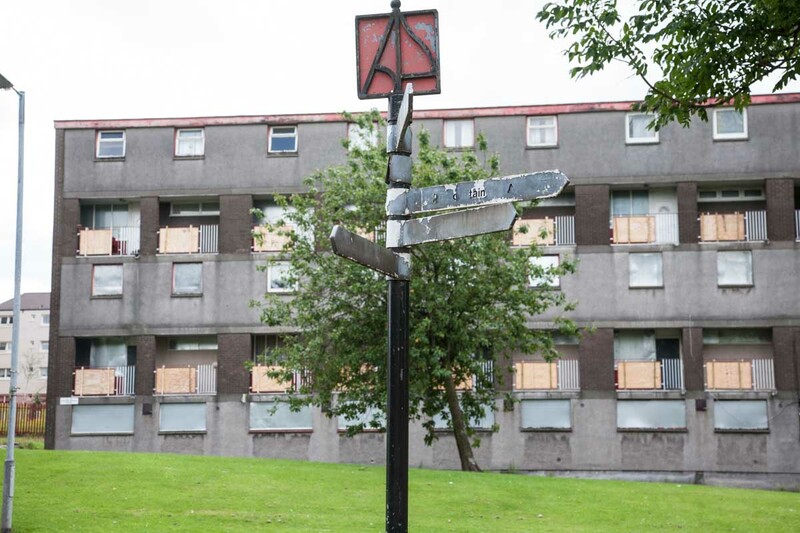 I asked former residents what happened in Sighthill, what was the turning point that turned it from home for thousands to a sink estate? 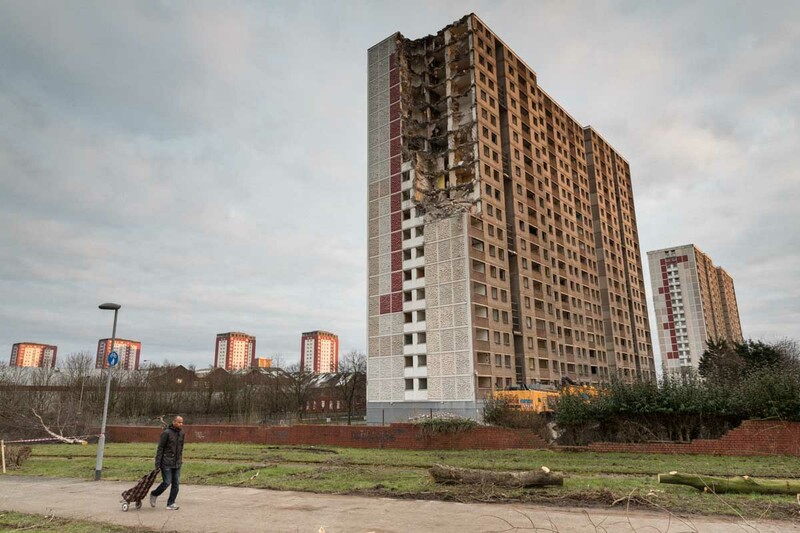 Most blamed the collapse of industry in the area, the lack of facilities, and some just hated the grey monotonous landscape. 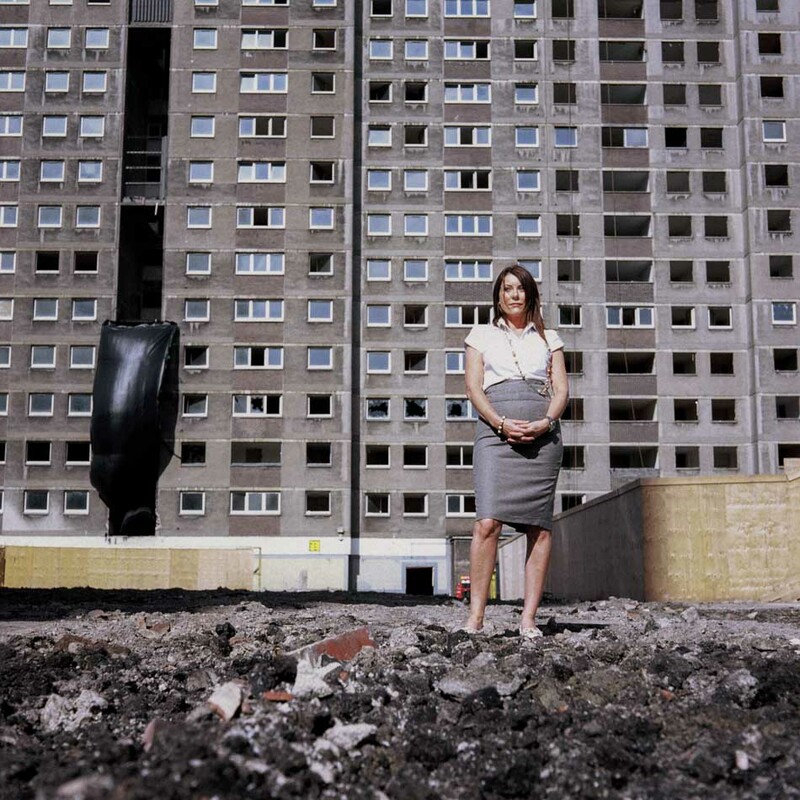 Deborah, another former resident, offered her own explanation for the flats’ fall from grace – heroin. 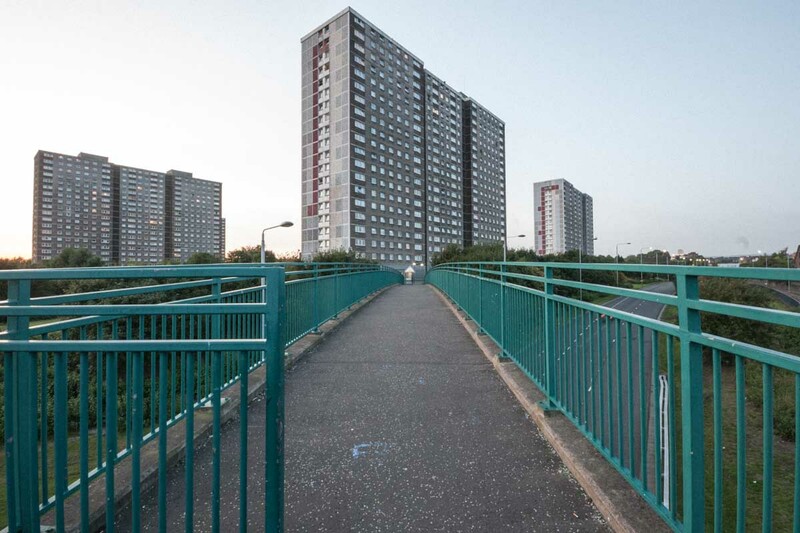 In the 1980s, when heroin arrived on Clydeside, it spread rapidly across Sighthill and the rest of Glasgow. 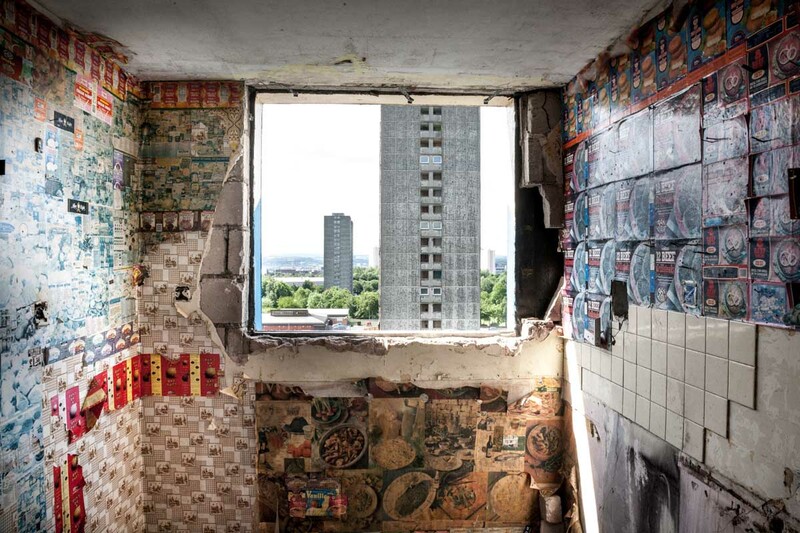 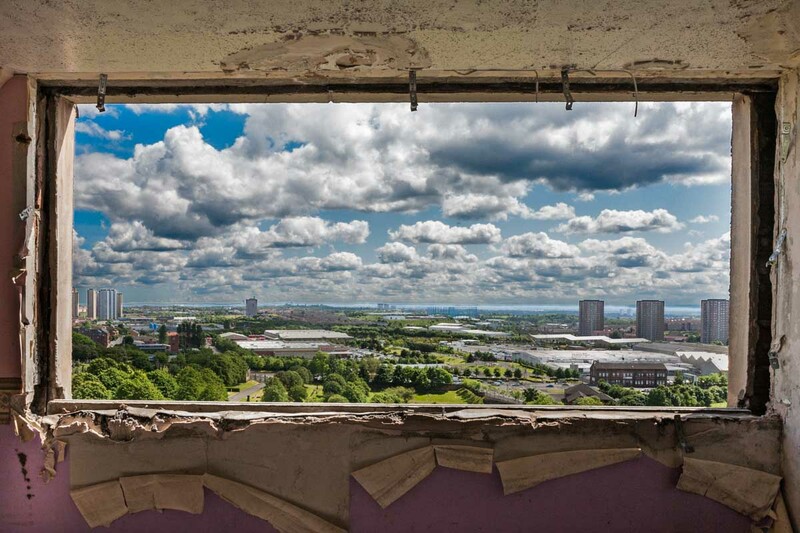 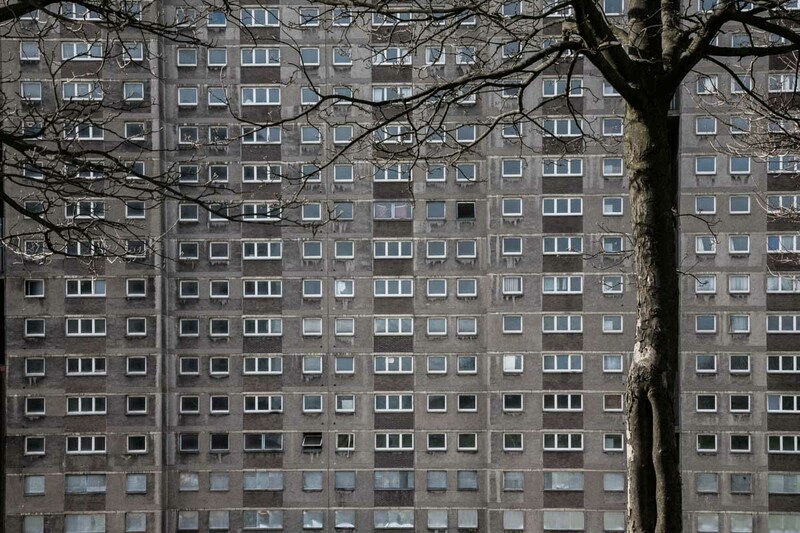 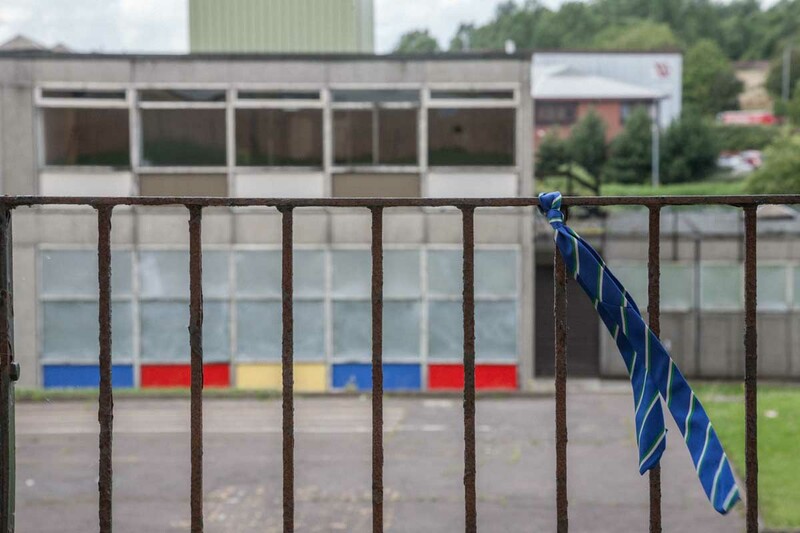 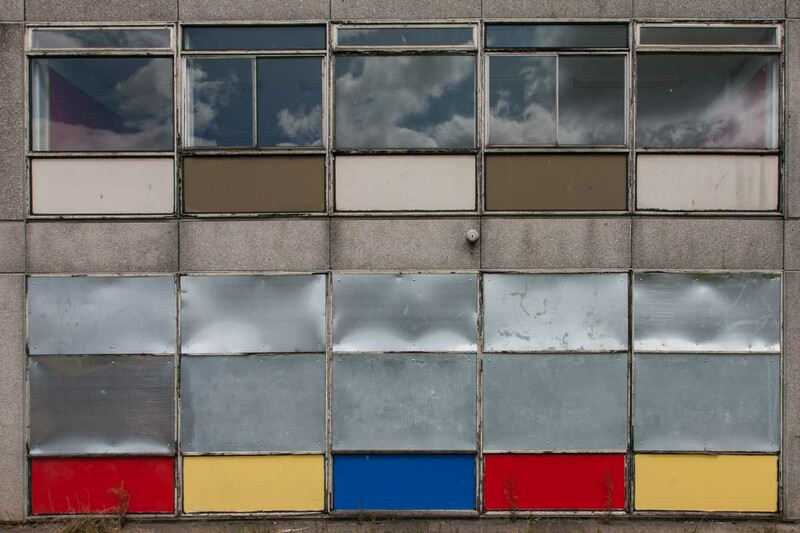 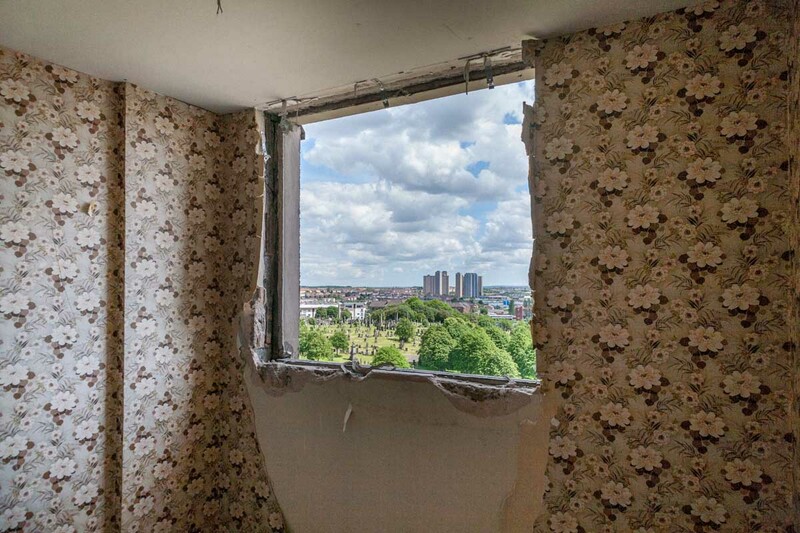 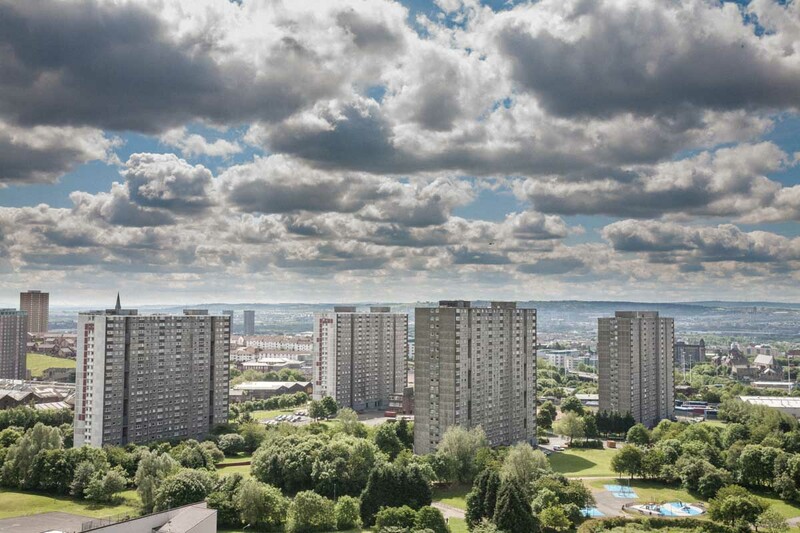 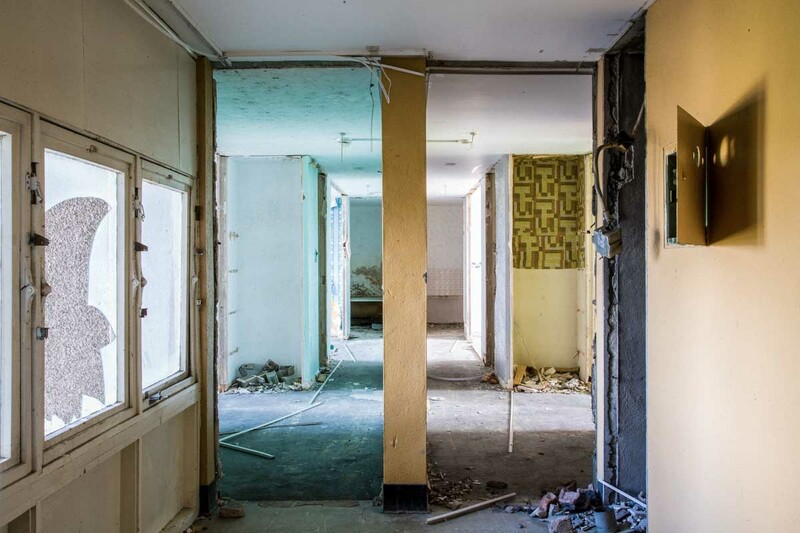 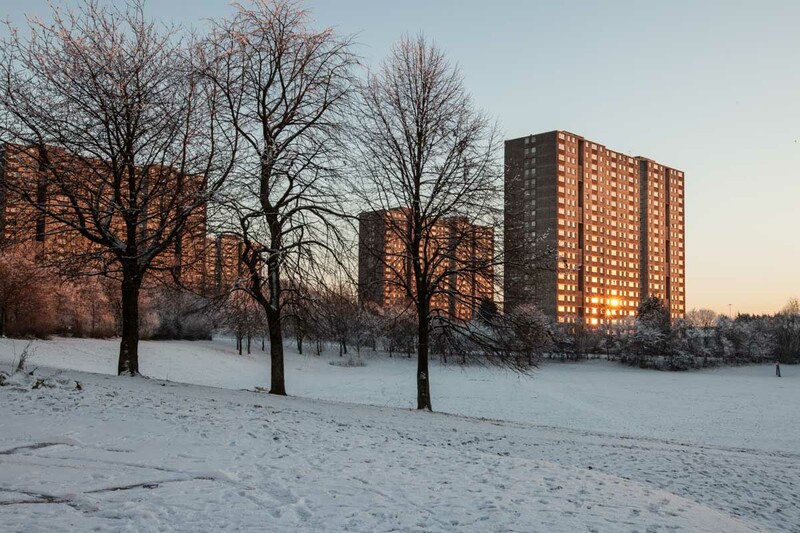 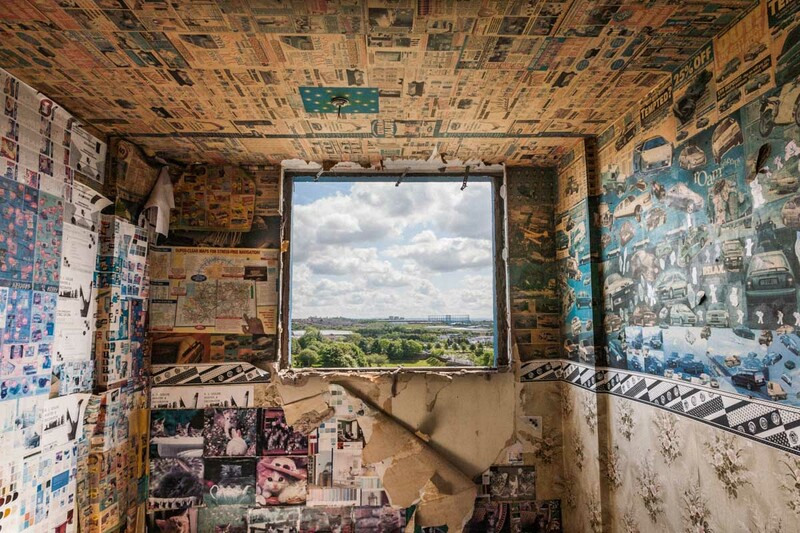 Even after losing half of its homes and residents, the remaining Sighthill community ploughed on for years in a state of partly demolished limbo. 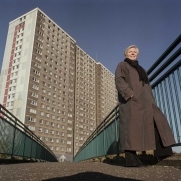 Residents even campaigned successfully to have two of the highrise towers saved from demolition and were promised a planned refurbishment. 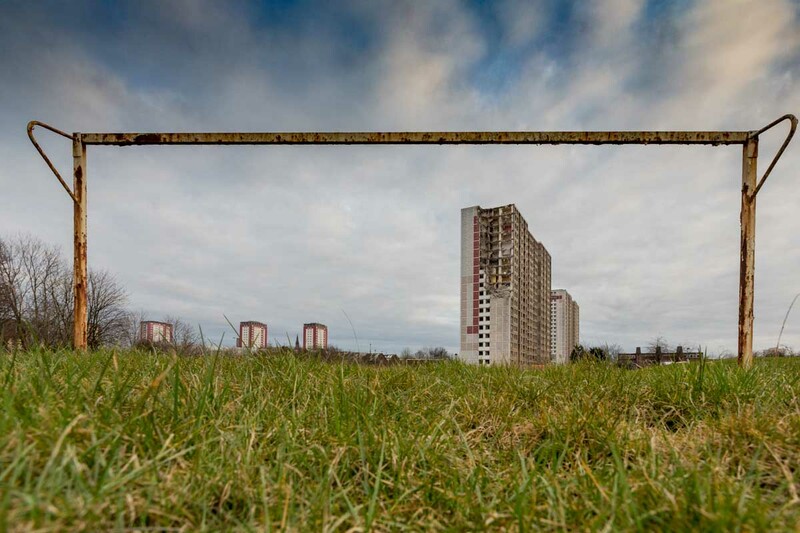 But, in 2012, the allure of staging another mega sporting event sealed Sighthill’s fate, as Glasgow City Council was shortlisted for the 2018 Youth Olympics. 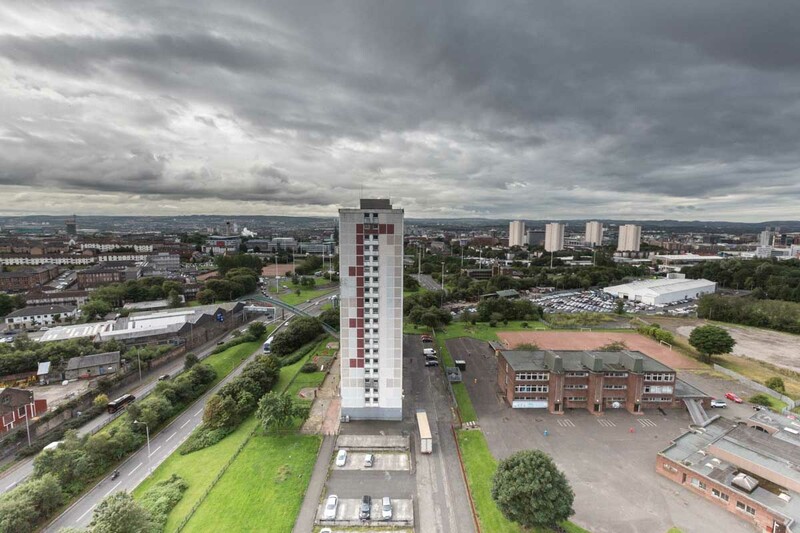 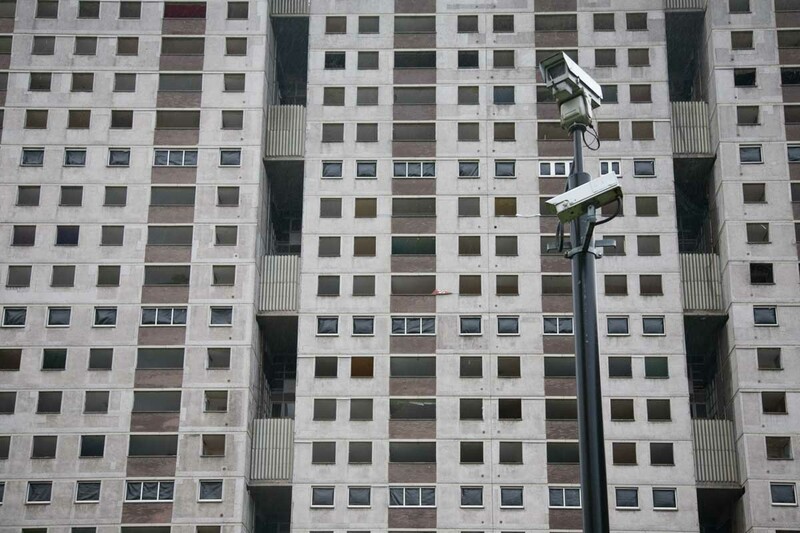 The demolition of all Sighthill’s remaining high-rise flats was back on the agenda. 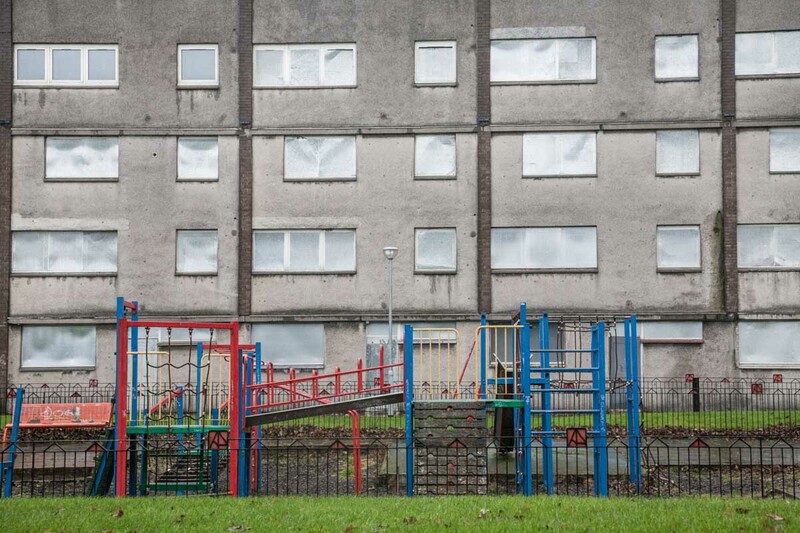 Then-Council leader Gordon Matheson, said: “Let’s not kid ourselves. 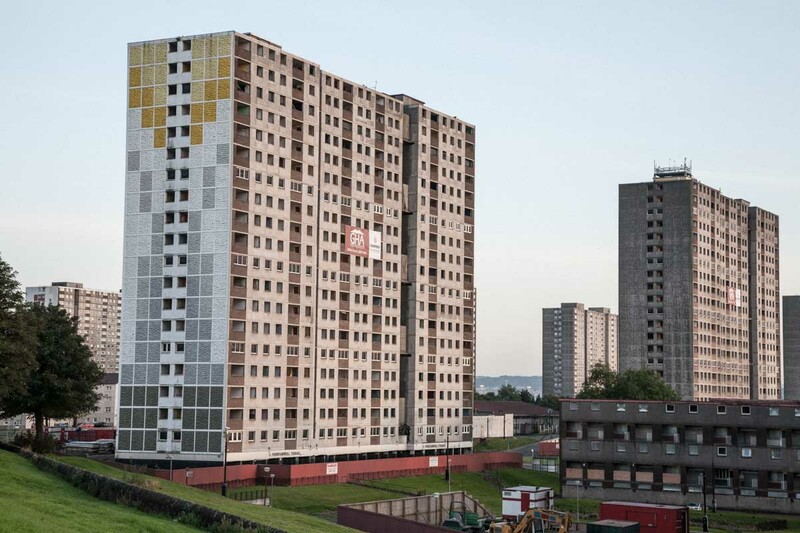 This is an area that has been going downhill for many years.” Despite losing the bid to host the Youth Olympics the investment money of £250 million was put forward for a planned redevelopment of the complete area and the last two remaining blocks would be emptied and demolished in late 2016.